Everyone has turned to star-struck mush on the death of former South African President Nelson Mandela, but it should be remembered that he chose to side with murderers, despots, and communists when he emerged from prison in the 1980s. He also headed up a political party guilty of murder and terrorism. Nelson Mandela, Winnie Mandela and Jow Slovo sing Nksoi Sikelele I’afrika in Soweto. The Communist Party holds its first public meeting in South Africa in 1990, after being banned for decades. Mandela was the head of the African National Congress Party (ANC) a party guilty of decades of murder, terrorism, and violence. In fact, South African President P.W. Botha gave Mandela the opportunity to walk out of jail for free if he just renounced the ANC’s terrorism. He always refused to renounce terrorism. But beyond the crimes he was accused of before he became “the” Mandela that everyone so gauzily remembers, he had a long list of crimes accredited to him. At the bottom of the page you can see a list of the charges leveled against him. The truth is, Nelson Mandela was the head of UmKhonto we Sizwe, (MK), the terrorist wing of the ANC and South African Communist Party. He had pleaded guilty to 156 acts of public violence including mobilizing terrorist bombing campaigns, which planted bombs in public places, including the Johannesburg railway station. Many innocent people, including women and children, were killed by Nelson Mandela’s MK terrorists–murderers he never, ever renounced. But even after he walked out of prison and became the elected president of South Africa, Mandela chose to side with some of the worst monsters of the 20th century. 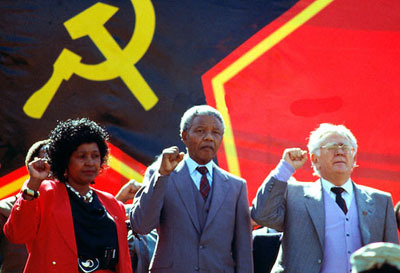 Nelson Mandela was an avowed Communist and he sided with Cuban murderer and dictator Fidel Castro, he sided with the USSR, he sided with Mumar Ghadafi and the terrorist and so-called “Palestinian” Yasser Arafat. And, as Breitbart’s Joel Pollak notes, the Old Media establishment is trying to sue Mandela’s death as yet another excuse to attack conservatives in general and Ronald Reagan in particular. 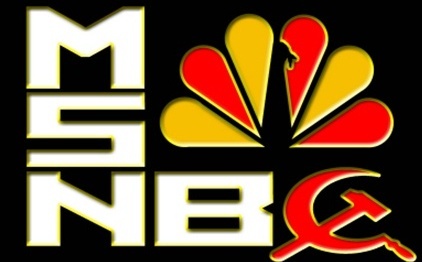 More important, the left is ignoring the context in which conservatives were skeptical of Mandela and the ANC–namely, the fact that they had aligned themselves with the Soviet Union, as well as some of the most villainous figures of the time, including Fidel Castro, Yasser Arafat, and Muammar Ghadafi. For conservatives, the fight against Soviet communism was the overriding strategic concern, and Mandela had chosen the wrong side. That does not mean Mandela ought to be saddled with all the evils of the Soviet empire. He kept communism at arm’s length and tried to argue that his partnership with the USSR was a means to an end, much like America’s own alliance with Stalin during WWII had been a strategic move, not necessarily a moral endorsement. Yet it is the most challenging part of Mandela’s otherwise inspiring legacy, and one that cannot be erased from history. Pollak also astutely points out that South Africa only started improving the little bit it did under Mandela only after the Soviet Union collapsed and international communism fell apart as a Cold War threat. So, let’s have some perspective, shall we? (v) Acts of participation in a violent revolution in the aforesaid Republic, whereby the accused, injured, damaged, destroyed, rendered useless or unserviceable, put out of action, obstructed, with or endangered. So? Tell us what you think of Mandela, won’t you? Please Sign The Petition To Repeal Obamacare: CLICK HERE.